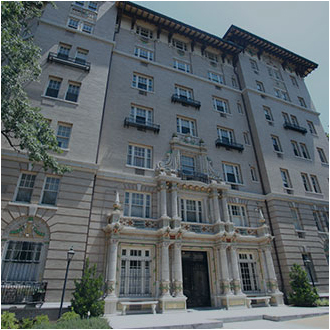 Gates Hudson is a privately held company that provides comprehensive and customized Real Estate services to a diverse set of clients throughout the greater Washington, D.C. region. 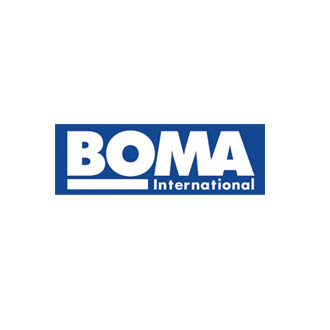 Founded in 1980 and currently operating with over 700 employees, the company’s depth of experience is exemplified by its diverse local portfolio. 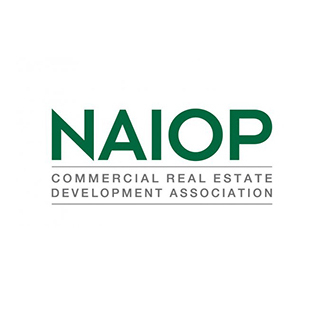 This includes nearly 15,000 multifamily apartment units, 2.6 million square feet of office and retail space, over 34,000 condominium and community association units, as well as construction management assignments totaling over $350 million in aggregate value. 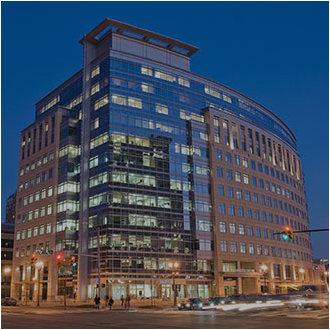 Since the firm’s founding, Gates Hudson has crafted a multi-­disciplined platform of residential and commercial services to include property management, leasing, investment sales, realty services, association management, project management and technical services. 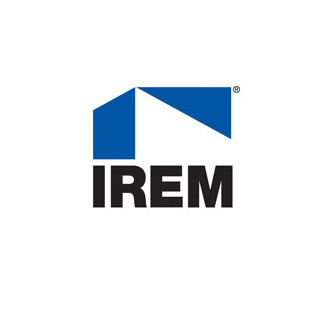 We are proud to have earned the Accredited Management Organization (AMO®) designation from the Institute of Real Estate Management (IREM). benefit from a better assessment of their needs and experience timely, practical and cost effective solutions. We leverage our multi­disciplined platform and offer a diversified and experienced team to match our clients’ needs. Our hands-­on style, combined with our depth of experience and focus on the local market, positions the firm well to work effectively with both private and institutional clients alike. Further, we pride ourselves on being able to meet every need that might arise at any time in the life cycle of a given Real Estate asset.We attribute our longevity and success to an extraordinary team of people whose integrity, experience and knowledge are rivaled only by their genuine passion for providing the best services possible. We are accredited, skilled, knowledgeable, experienced and always quick to problem solve or strategize on market trends. Gates Hudson fosters and promotes an environmentally conscious perspective across all enterprise divisions, implementing environmentally sustainable business practices at each of our managed properties. In doing so, we provide a healthier and more productive workplace for our employees and a better environment for our residents and tenants to thrive within; all while promoting long term value and return on investment for client partners. This is the mission of the Gates Hudson Sustainability Team: to develop and execute a sustainable real estate strategy in collaboration with client partners, residents, tenants, employees and vendors to make a positive impact on the communities in which we live and work. The key components of the Gates Hudson Sustainability Strategy include the following: Energy Efficiency, Water Efficiency, LEED® Certification and Education & Training. Gates Hudson Community Management is in need of a Portfolio Manager in Fairfax, VA to oversee a number of condominiums in the Northern Virginia area. Loyalty. We form long-lasting, genuine partnerships with each other and our clients. Expertise. We value and encourage ongoing education, accreditation and experience. Our experience drives results. Forthcoming. With no hidden agenda, we value transparent and honest relationships. Superior Service. Personalized service to every customer, every time. No exceptions. Perspective. We leverage the multidisciplinary and seasoned expertise of our team and reach practical solutions that are tailored to your unique needs. Complete responsibility for all management services at the property. Maintain records for all aspects of the operation of each Association. Prepare written Monthly Management Reports for the Board of Directors, to be discussed during scheduled Board Meetings. 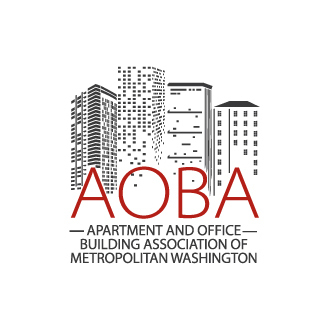 The report includes, but is not limited to the following information: site inspections reports, progress of subcontractors and/or employee repair and maintenance work, emerging problems with grounds and building recommendations for future action, upcoming contracts, covenant violations, closed cases, insurance status reports, parking and towing violation log, and actions involving security and vandalism. Prepare an annual draft budget for the Board’s review and approval. Inspect and maintain all common elements to include physical plant that generates energy to all units/homes. Act as the liaison for the Board of Directors. Ensure that all rules and regulations that govern the Association are enforced. Obtain competitive bidding for all contracts based on written specifications, with the final decision made by the Board of Directors. Effectively communicate, instruct, and motivate GHCM employees in all phases of association management policies and procedures. The Certified Manager of Community Associations (CMCA) designation from the Community Association Institute (CAI) is preferred. Informs the Senior Portfolio Manager, Regional Vice President, Vice President of Operations, Executive Vice President of Operations, CFO and Board of Directors of personnel needs. Oversee all responsibilities of the Corporate Administrative Assistant. Supervision of onsite staff as applicable and ensures all deadlines are met. Hires, trains, and retains professional on-site staff (as necessary) to assist the Association. Assist the Senior Portfolio Manager, Regional Vice President, Vice President of Operations, Executive Vice President of Operations, and CFO as directed. Gates Hudson Community Management firm is looking for an experienced Community Manager for a Luxury condominium association located in Washington, DC . We are looking for a dedicated self-starter that is detail-oriented with the ability to multi task and follow through on tasks to completion. Exceptional customer service and follow up skills required. Knowledge of MS Office required. Candidates with professional CMCA preferred. Meet all reporting deadlines and maintain an activity calendar to ensure that tasks are completed. Maintain all office files and records in accordance with GHCM’s policy and standard business practice. Board Meeting Attendance as required per Management Agreement. Draft the occasional request for proposals from contractors on an as needed basis. Submit weekly reports and an updated task list to the Board of Directors. Ensure routine expenditures are consistent with the Association’s owner approved budget. Control purchases and utilize the approved vendor lists. Process property invoices in accordance with established GHCM’s policy and submit invoices with purchase orders and required reports weekly. Maintain records for all transactions conducted on-site. Promote goodwill among owners, residents, coworkers, and contractors/vendors. Apply policy in a fair, uniform manner to ensure consistent policy enforcement for all residents. Implement the Association’s and GHCM’s policies and procedures regarding Rules and Regulations. Ensure that all Owner/Resident requests and issues are handled in a timely manner and on a priority basis per policy (emergencies first; thereafter, first-come, first-served basis). Assist with repair order/service request follow-up, e.g., monitoring tickets awaiting parts, ensuring satisfactory completion of repairs. Where in-unit resident services are to be bundled and coordinated to save money or for efficiency, service schedules, procedures and costs will be communicated to participating residents and contractors in a timely manner. Prepare the office work schedule for the maintenance staff, front desk staff and other staff as applicable.. Perform regular building and ground inspections and provide written reports; prepare and dispatch repair orders as necessary; ensure consistent, positive curb appeal. Supervise contractors to ensure compliance with contract specifications. Must have a strong background in customer service. Must be able to clearly convey information through written and verbal communications. 1-2 years’ experience in Association management or a similar field. A driver’s license may be required. Intermediate or advanced knowledge of Microsoft Office products, specifically Outlook, Word and Excel. Maintain full working knowledge of the 3rd party software used by GHCM to include: Jenark, Strongroom Payables Lockbox, Smartwebs Violations and community website/web portal hosts. Gates Hudson Community Management firm is looking for an experienced Community Manager for a condominium association located in McLean, VA . We are looking for a dedicated self-starter that is detail-oriented with the ability to multi task and follow through on tasks to completion. Exceptional customer service and follow up skills required. Knowledge of MS Office required. 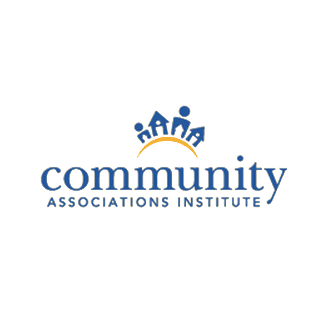 The Certified Manager of Community Associations (CMCA) designation from the Community Association Institute (CAI) is required and AMS preferred. The MAINTENANCE TECHNICIAN is responsible for physically maintaining the property including corrective and preventative maintenance measures on property equipment, fixtures, and buildings and for safeguarding the same. Comply with Work Order System. Pick up work order ticket. Initial ticket. Complete repairs. Return incomplete tickets. Ensure work orders accompany all assignments. Track work hours to equal eight hours. Become familiar with the property. Know the location of equipment, types of equipment, major property components, contracted work, personnel, etc. Control use of parts. Provide quality workmanship and maintain inventory of frequently used parts. Maintain stock rooms, maintenance workshops and offices. Comply with policy for keys, master keys, unit keys and common area keys. 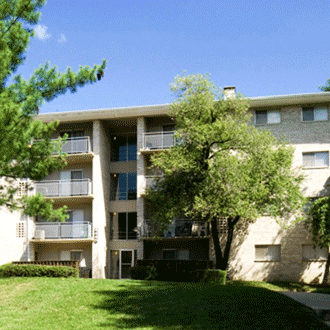 Perform all resident common area requests for service promptly and efficiently. Comply with policy regarding entering occupied units. Report to work wearing the proper uniform and identification. Promote goodwill among prospects, residents, owners, employees and contractors. Provide feedback on service requests to your supervisor. Provide training to other technicians as required. Work night/weekend duty as scheduled. Be knowledgeable of pertinent laws and EPA and OSHA regulations governing proper storage and management of hazardous materials, including solvents, flammables, and freon. Schedule and perform routine preventative maintenance on all appropriate equipment as directed by your supervisor. Update logs as provided. Perform emergency repairs including corrective and necessary clean-up. Change locks and makes keys. Operate and maintain furnace, mechanical equipment and controls for continuous heat, air conditioning and hot water as applicable. Where applicable, perform turnovers in a timely and efficient manner. Report all major repairs and needed requisitions to your supervisor prior to any expenditure of funds. Assist in moving abandoned furniture, appliances, etc. to a dumpster when necessary. Be knowledgeable of inventory levels of spare parts and supplies and inform your supervisor of shortages. Assist in keeping grounds neat and free of litter. Rake, sweep, shovel as necessary. Take monthly water consumption readings, if applicable. If applicable, remove and transfer heavy appliances and equipment from storage area to apartment (or vice versa) as circumstances warrant. Clean-up after repairs or at end of day. Be aware of the condition of the property throughout the community and immediately initiate action to correct unsafe conditions; e.g., broken steps, and open holes, broken/burned out exterior lights. Ensure storage areas remain locked when not in use. Promote awareness for safety and security for maintenance staff. Provide feedback and follow-up in emergency situations. Provide written Incident/Accident Report. Be aware of all utility meter cut-offs, apartment and fixture cut-offs, sewer clean outs. High School degree or equivalent certification required. Additional training in electrical systems, plumbing, HVAC or basic computer technology as applicable to the Association. Ability to work independently and also as a productive member of a team. Ability to organize and coordinate work efficiently, set priorities, and motivate others to do the same. Maintain full working knowledge of Microsoft Office Systems (including but not limited to Excel and Word), personal computers, Internet applications, Jenark, printers, telephones, fax machine, photocopier. Ability to walk property and go up and down flights of stairs depending on the property structure. Ability to hear and speak well enough to converse verbally over the phone and in-person (expressing or exchanging ideas by means of the spoken or written word). Ability to interpret, evaluate and communicate detailed written or verbal instructions to others accurately and easily. Ability to see well enough to use the computer effectively and read written communications. Ability to lift, push, pull or carry up to 25 pounds for the dissemination of documents, supplies, materials, etc. to various locations throughout the office/facility. Ability to complete general office duties. Uses standard maintenance equipment such as tools, ladders, snow blowers, etc. Possible use of heavy machinery depending on the property type. Gates Hudson is currently seeking a Corporate Accountant for our corporate Fairfax office. Must have strong Excel skills in an automated environment. This is a growth position reporting directly to the Director of Accounting with advancement potential for the right candidate. Must have Accounting or related degree, preferably enough accounting credits to qualify to sit for CPA exam. Public accounting is a plus. In addition to resume submission, please include a cover letter highlighting how your experience aligns with this role. Competitive salary, benefits and 401(k). Perspective. We leverage the multidisciplinary and seasoned expertise of our team and reach practical solutions that are tailed to your unique needs. Organize and oversee the daily activities of the maintenance staff. Provide on the job training when applicable. Ensure work is prioritized as appropriate. Ensure maintenance coverage includes twenty-four (24) hour emergency services, and monitor the nature of the emergency service. Inform Property Manager of any employee needs or concerns. Assist the team with the turnover/renovation process to ensure apartments are ready for new move-ins and vacancy loss is reduced. Physically inspect property and common areas each morning to detect maintenance problems that require attention. Maintain maintenance shop and storage rooms in an orderly fashion and in compliance with safety regulations. Coordinate and complete maintenance requests within 24 hours. Perform spot inspections of tickets completed to ensure quality of workmanship in repairs and clean up for both apartments and common areas. Work turnover every day, and ensure all apartments are in “rent ready” condition within seven (7) days of move-out. Ensure the performance of all contractors to contract specifications and advise the Property Manager of any shortcomings. Work with contractors to obtain quality performance. Implement the preventative maintenance program for the property is according to Gates Hudson policy and procedure. Schedule and perform routine and preventative maintenance on all appropriate equipment on a regular basis. Inspect and maintain all tools are in excellent condition. All applicants must have a reliable transportation and must possess/bring own hand tools. Successful completion of background check and drug screening required. At least 3-5 years’ experience as a Maintenance Technician, preferably in residential property management. At least 1-3 years’ experience as a Maintenance Supervisor. CFC Type 2 or Universal certification is required. Must be able to perform plumbing, electrical and HVAC repairs, as well as carpentry and locksmithing, painting, dry-wall repair, and snow removal. Must be available to handle on-call emergency services on an as-needed basis. Must have personal, reliable transportation to get to work in order to respond to on-call emergencies. Gates Hudson is seeking a Field Service Technician based out of our corporate Fairfax office. The ideal candidate must have at least 7 years of construction industry experience--5 of those in drywall finishing and carpentry. Must have at least 5 years of experience of drywall finishing and carpentry. Gates Hudson Residential is seeking an Assistant Property Manager for a property in Lexington Park, MD. 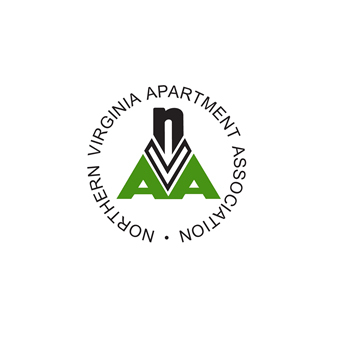 The Assistant Property Manager is responsible for conducting all business in accordance with Gates Hudson’s established policies and procedures, all Federal, State, County and Local Fair Housing Laws, Americans with Disabilities Act, Fair Credit Reporting Act, and all other laws pertaining to multifamily housing. Conduct on-going training with office staff. This includes Fair Housing, leasing paperwork, YARDI, accounts receivable, Nexus accounts payable system, workplace safety, and any other type of training that may be needed on a daily basis. Maintain a positive customer service attitude and promote good will among prospects, residents, coworkers and contractors. Periodic inspection with residents move-in/move-outs. Review all notices to vacate to determine the cause of the move-out. Make sure every attempt is made to save a potential move-out. Deal with resident concerns and requests on a timely basis to ensure resident satisfaction with management. Welcome and show property to prospective new residents. Also, handle incoming phone calls and complete appropriate paperwork. Assist in the preparation of the annual budget and is responsible for staying within the established budget guidelines throughout the year. Ensure routine expenditures are consistent with the property’s owner approved budget. Control purchases and utilizes the approved vendor lists. Actively maintain and report monthly variances and narratives. Constant vendor/contractor communications concerning work scheduling, billings, vendor relations and certificates of insurance. Responsible for processing, approving and submitting all invoices to the Corporate Office for payment on a weekly basis. Responsible for maintaining and reconciling petty cash account. Gates Hudson, a full-service real estate company in the DC Metro area, is currently seeking a Leasing Manager responsible for the sales strategy and performance of an apartment community in Arlington, VA. This role will be responsible for executing major elements of an exciting new brand for multifamily companies that will support the company as a leader in Multifamily Property Management. We are looking for someone who is energetic, detail oriented, and customer service focused. · High school degree or equivalent certification required. · Previous customer service experience, leasing and/or sales experience preferred. · Ability to quickly develop rapport with prospective residents. · Must be a motivated self-starter with the ability to work well in a team setting. Gates Hudson is seeking an Administrative Assistant for a condominium community in Woodbridge, VA. Qualified candidates must be energetic, dynamic, professional in appearance and customer service focused. Candidates should be able to work at least 20 hours a week. A set schedule will be set before the start date, but these hours are negotiable! Provide administrative and customer service support for the Manager and Board of Directors as applicable. Provide clerical assistance such as typing, filing, answering telephones, reviewing architectural applications, processing daily pool passes and reports, message taking, mass mailings, etc. Assist the Manager in maintaining all office files and records in accordance with policies and procedures. Maintain accurate records, logs and operating data systems, as directed by your supervisor. Handle calls from owners, vendors, residents, etc. Relay vital messages to Site Manager. Maintain owner and tenant lists (all contact information current). Greet all residents and prospects and direct them to appropriate individual as they enter the building. 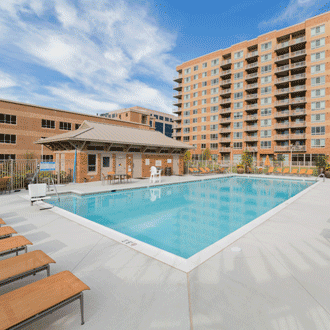 Gates Hudson Residential is seeking a Property Manager for an apartment community in Reston, VA. 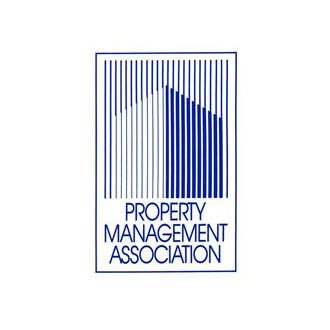 The Property Manager is responsible for conducting all business in accordance with Gates Hudson’s established policies and procedures, all Federal, State, County and Local Fair Housing Laws, Americans with Disabilities Act, Fair Credit Reporting Act, and all other laws pertaining to multifamily housing. With Regional Manager’s approval, hire and terminate on-site staff. Train, motivate and supervise all on-site staff in order to achieve operational goals of property. Conduct new employee indoctrination and annual performance reviews. 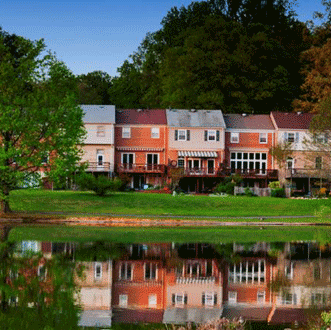 Gates Hudson Residential is seeking a Property Manager for an apartment community in Manassas, VA. The Resident Concierge is a key member of the property management team. Resident concierge provides superior customer service, possesses detailed knowledge of company policy and procedures, and performs essential functions as they relate to the maintenance and accessibility of the building. Gates Hudson, a full-service property management company is seeking a full time Leasing Consultant to join a residential property in Alexandria, VA. If you are energetic, detail oriented, and customer service focused, please submit your resume for review. Welcome and tour prospects, qualify, determine wants and needs, professionally present community and specific apartments/condominiums while providing features and benefits. Proactively manage leads, document tours and complete all leasing paperwork. Ensure the entire tour route is in perfect condition. Walk rent readies and check on the status of the vacant units to ensure there is a suitable number of rent ready units and partially accessorized mini model units. Maintain awareness of local market conditions and trends. Contribute ideas to the Manager for marketing property and for improving resident satisfaction. Answer incoming phone calls and handle accordingly whether it is a prospect call or a resident call. Address resident concerns and requests on a timely basis to ensure resident satisfaction with management. Receive telephone calls and in-person visits. Answer questions for residents about community, repairs, rent, rules, etc. Conduct periodic inspections with residents upon move-in/move-out. Assist in planning resident functions. Attend functions and participate as host for any functions as directed by the Property Manager. Maintain a professional, yet friendly, atmosphere in the leasing offices and other areas where prospective residents and current residents meet. Ensure the entire tour route to all common area, outdoor recreational facilities, landscaping, laundry room, parking areas, etc. are in perfect condition. Greet and tour prospective new residents, qualify, determine needs and preferences, professionally present community and specific apartments while communicating features and benefits; close the sale. Understand how to incorporate the revenue management software into the sales presentation. Please note that the majority of prospects conduct their housing searches on the weekends and as such working weekends is expected. At least two years of leasing experience preferred. Previous customer service experience, leasing and/or sales experience preferred. Must be a motivated self-starter with the ability to work well in a team setting and set goals. Gates Hudson Community Management is in need of a Portfolio Manager in Georgetown, DC to oversee a number of condominiums in the Northern Virginia area. Gates Hudson Community Management is seeking a part-time patrol/guard for a condominium property in Bethesda, Maryland. This a part-time, weekend position. The ideal candidate would be experienced and be available to work other shifts as needed. Secures premises residents and personnel by patrolling property. Inspects buildings, equipment, and access points; permitting entry. Gates Hudson Community Management is looking for a General Manager for a condominium property in Arlington, Virginia and surrounding cities. These cities include Alexandria, Vienna, Falls Church and McLean. This is a full time position that offers a comprehensive benefits package in addition to great culture and growth potential. We are looking for someone who is experienced, professional, organized, and knows how to oversee projects. We ask that in addition to submitting a resume, candidates submit a cover letter highlighting their location preference and any relevant skills. Review mail, outside correspondence and inter-company correspondence. Provide clerical assistance such as typing, filing, writing of reports, answering telephones, closing out daily reports, maintaining permit, licenses and insurance documentation for facilities and in-Unit work electronically and in hard copy, maintain all other on-site books and records electronically and in hard copy, etc. Ensure efficient delivery of services to: update master calendar for the Association; schedule and support community events, move in/move outs, and vendors providing on-site services; prepare meeting materials for the Boards; support annual elections for the Board(s); prepare and update the Owner directory, issue keys, property identification stickers, and pool passes; support newsletter production and distribution; prepare new Owner welcome packets; and carry out other office responsibilities as needed. Draft requests for proposals from contractors on an as needed basis. Submit monthly reports to the Board(s) as provided in the Management Agreement. Perform any additional duties assigned by the Board(s). Act as the liaison between community Boards, if applicable. Minimum of seven (7) years’ experience as a condominium property manager. A Bachelor’s degree is preferred. A High School Diploma is required. Maintain full working knowledge of all GHCM operating policies and procedures. General knowledge of Internet use and using Internet browsers, to include changing/creating passwords and security question answers and bookmarking web addresses. Gates Hudson is looking for a student intern to join our residential team. Under the direction of the Property Manager, they will obtain knowledge for maximizing occupancy by generating traffic, scheduling appointments, securing rentals, promoting resident retention, and providing or coordinating exceptional customer service. The STUDENT INTERN will conduct all business in accordance with Gates Hudson’s established policies and procedures, all Federal, State, County and Local Fair Housing Laws, Americans with Disabilities Act, and all other laws pertaining to multifamily housing. Obtain knowledge in the management of renewals, tracking lease expirations, recording notices to vacate and interviewing residents for reason, preparing lease expiration letters and renewal leases. Participate in collecting and accurately process and report receipt of application fees, security deposits, rents and other fees. Assist in accurately entering all prospect and resident data in Yardi. 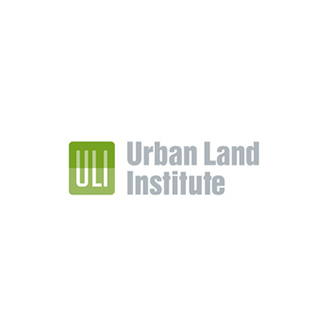 Obtain knowledge to comply with all Fair Housing regulations, and other laws as they relate to property specific guidelines and occupancy standards. Assist in inspecting market readies and models each morning and notifying service operations of any deficiencies in the “I Would Live Here” test. Obtain market knowledge with weekly telephone inquiries and bi-monthly physical market shops. Assist in planning and preparation of resident functions. Participate in walking the property for curb appeal and overall property appearance. Obtain knowledge in recording and acting on resident service requests, ensuring excellent customer service with same day or maximum 24 hour follow up. Assist in answering the phone by 3rd ring, and use courteous and professional communication with all customers. 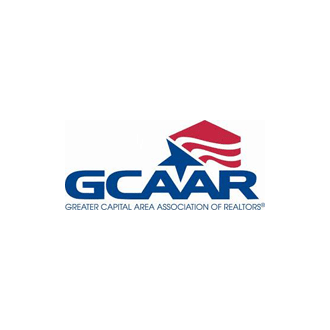 Assist with advising Property Manager of conditions at the community affecting the resident’s safety and dissatisfaction or the property’s preservation. Maintain professional dress and conduct at all times. Keep files, desk, and leasing area organized. Enrolled in 4-year accredited Property Management Program and completed sophomore year requirements. Software: Word, Outlook, and Excel, Yardi. Knowledge of personal computers, Internet applications, and property management software, printers, telephones, fax machine, photocopier. Position requires use of telephones and computers. Candidate must be able to climb stairs when entering the property management office. Candidate must be able to walk apartments and grounds including steps. Occasionally requires lifting 20 pounds or less. Be professional at all times through quality of work, punctuality, attendance, and attitude. Be dependable, make good judgment, and be organized. Display the initiative and ability to learn. Maintain a good working relationship with peers and demonstrate leadership qualities. 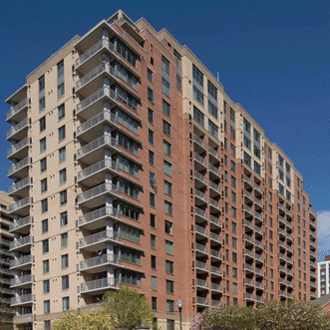 Gates Hudson Residential is seeking a Property Manager for an apartment community in Alexandria, VA.
Gates Hudson Residential is seeking a Property Manager for an apartment community in Washington, DC. CFC Type 2, HVAC or Universal certification is required. Gates Hudson Community Management is in need of a Assistant Manager for a condominium property in Alexandria, VA. This is a full time position that offers a comprehensive benefits package in addition to great culture and growth potential. We are looking for someone who is experienced, professional, organized, and knows how to oversee projects. Investigate and respond to all written resident complaints received by Management. Maintain control of the applicant qualification process and approve or disapprove applications in accordance to established Gates Hudson guidelines. Control lease accuracy; ensure lease file is in compliance with established GHCM’s policy and procedure. Communicate with vendors/contractors concerning work scheduling, billings, vendor relations and certificates of insurance. Assist in preparing rent increase Group Edit List for Portfolio Manager’s approval. Submit weekly reports and an updated task list to GHCM. Provide clerical assistance such as data entry, filing, writing of reports, answering telephones, closing out daily reports, etc. Perform any additional duties assigned. Review all notices to vacate to determine the cause for move-out. Make sure every attempt is made to save potential move-outs. Conduct move-in/move-out inspections with residents. Provide supervision of routine maintenance service to residents and follow-up for assurance of resident satisfaction. Required to have the Certified Manager of Community Associations (CMCA) designation from the Community Association Institute (CAI). Gates Hudson, a full-service property management company is seeking a full time Floating Leasing Consultant to join a residential property in Martinsburg, WV. If you are energetic, detail oriented, and customer service focused, please submit your resume for review. The Administrative Assistant duties include but are not limited to, working for the Project Account Manager, assisting each with administrative support for Residential, GHCM, Commercial and other clients. This position must have the perceptiveness, interpersonal and organizational skills required to deal effectively with a wide range of people, including senior level executives, property managers, general contractors and outside contacts. Duties will include, but are not limited to typing, filing, project costing, and working on special projects. Maintain information for all aspects of providing support to the Project Account Manager, Project Accountant, Project Managers and Vice President to include data entry, proposal processing, job costs review, and maintaining accurate records. Assist Project Account Manager in meeting all reporting deadlines. Assist the Project Account Manager to ensure current contracts and sub-contract documents for construction management jobs are electronically stored. Assist Project Managers and Vice President in due diligence reports for clients. Assist clients with questions pertaining to contracts, job cost, records and providing job cost back up as needed. Acts as the liaison with other departments, such as the corporate office. Provide front desk coverage as needed per the assigned office’s procedures. Maintain strong skills in Microsoft Office products, specifically Outlook, Word and Excel. Maintain full working knowledge of the 3rd party software used by GHS to include: Viewpoint Vista. Able to see well enough to use the computer effectively and read written communications. May be required to climb stairs depending on the property structure. Uses standard office equipment such as computers, phones, photocopiers, scanners, filing cabinets and fax machines. Coordinate maintenance team into a priority work schedule. At least 1-3 years’ experience as a Maintenance Technician, preferably in residential property management. CFC Type 2, Universal, or HVAC certification is preferred. Gates Hudson, a full-service real estate company, is currently seeking a Leasing Manager responsible for the sales strategy and performance of an apartment community in Adelphi, MD. 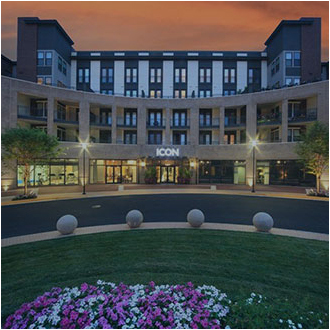 Gates Hudson has an opening for a full time concierge at an apartment in Reston, VA. The ideal candidate for this position will have previous concierge experience working in a multifamily setting, must be energetic, dynamic, and customer service oriented. Gates Hudson Residential is seeking an Assistant Property Manager for a property in Capitol Heights, MD. Gates Hudson, a full-service property management company is seeking a full time Leasing Consultant to join a residential property in Germantown, MD. If you are energetic, detail oriented, and customer service focused, please submit your resume for review. Gates Hudson Residential is seeking a Property Manager for an apartment community in Gainesville, VA.
Gates Hudson Residential is seeking a Property Manager for an apartment community in Washington DC. Join the movement as Gates Hudson continues its impressive and sustainable growth as one of the leading property management and investment firms within the Mid-Atlantic. As part of a team recognized as a leader in operational and customer service excellence, the Marketing Associate/Coordinator will be responsible for overall identity, management, and brand awareness of our communities. He/she is responsible for managing web, print, and marketing collateral of the residential portfolio and is an integral part in providing strategic support and management of residential advertising and promotional activities, including supporting onsite team members and regional operations leadership. This position will report to the V.P Marketing and the Director of Marketing. Please include a cover letter highlighting how your skills and experience relate to this position. 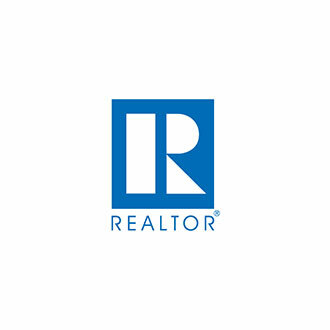 Serves as primary relationship manager to Property Managers and Regional Property Managers for respective portfolio, responsible for successful development, implementation and execution of tactical marketing strategies including marketing initiatives by the on-site team, ensuring marketing efforts remain within budget. Responsible for overall marketing performance of a region as it relates to budgeting, tracking and reporting of return on advertising investment, lead generation and sales conversion success. Prepares weekly reporting ahead of owner meetings pertaining to marketing performance. Supports the V.P and Director of Marketing to ensure customer satisfaction as it relates to marketing services to internal and external clients. 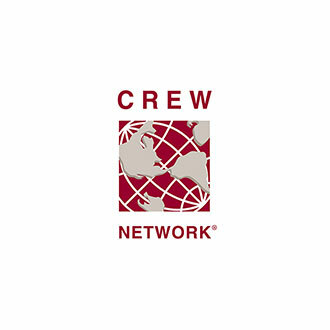 Assist with the development and adherence to digital operations platform, utilizing lead management, response center, resident screening tools, property management software, revenue management system(s), customer relationship management tools, lead nurturing programs, customer retention programs, resale opportunities and social media initiatives. Attend scheduled operational team meetings to ensure current marketing efforts are aligned with each community’s needs. Maintain an ongoing in-depth knowledge of the market, competition, market trends and demographics to gain a competitive edge. Identify measurable areas of performance against regional management companies to develop market leader status. Responsible for developing marketing solutions designed to promote the Gates Hudson and property(s) brand to key constituents within the region, driving measurable demand to convertible points of sale for respective business groups. Assists the V.P and Director of Marketing with for strategy of communication pieces, promotional materials, presentations, websites, reports and training materials for all new acquisitions, lease-up development and management take-overs. Communicate via webinars, live presentations, social media tools, website content, training manuals and participation in major internal/external events to enhance engagement and satisfaction of internal and external clients. Partners with property leaders and community managers to implement creative marketing and advertising strategies that adhere to budgeted guidelines, including digital, print advertising, referrals, outreach marketing, and other tactics, and appropriately selects marketing techniques that fit the property’s resident profile and market conditions. Monitors markets for trends, forecasts, job growth, and other economic conditions which may impact occupancy and leasing effectiveness within the portfolio, recommends changes and response strategies to offset market downturns or opportunities, and provides feedback and recommendations to property management on improving struggling asset performance and maximizing revenue generation on performing assets. Completes various market analysis, administrative duties assigned or as necessary. Identifies areas for improvement and offers suggestions and/or acts on opportunities to improve efficiency and productivity. 1-2 years of progressive experience and responsibility in a marketing coordinator position. Demonstrated proficiency in word processing, spreadsheet, property management (preferably Yardi), and database management programs in order to develop presentation materials, and generate or complete required reports. Local travel (between residential sites) expected at least 2 days per week. Must be technologically savvy and proficient with Microsoft Office and other administrative tools. Ability to prioritize and monitor multiple tasks concurrently. Gates Hudson Services is looking for a Project Manager for multifamily construction and renovation projects. Project Manager will be responsible for project development, permitting, supervision, planning, organizing and directing all phases of construction projects to include preparing budgets, cost estimates, bids and various aspects of construction. Gates Hudson, a full-service property management company is seeking a part time Leasing Consultant to join a residential property in Oxon Hill, MD. If you are energetic, detail oriented, and customer service focused, please submit your resume for review. Working 2-3 days a week including weekends are required. Gates Hudson residential team is seeking a professional, polished, part time concierge for a property in Washington, DC. The ideal candidate must be available to work Friday-Sunday from 11:00pm-7:00am. Gates Hudson, a full-service property management company is seeking a full time Leasing Consultant to join a residential property in Arlington, VA. If you are energetic, detail oriented, and customer service focused, please submit your resume for review. Gates Hudson Residential is seeking an Assistant Property Manager for a 216 unit property in Suitland, MD. The Community Compliance Inspector will be responsible for ensuring the owners in the associations we manage are maintaining their property in compliance with their association’s governing documents. 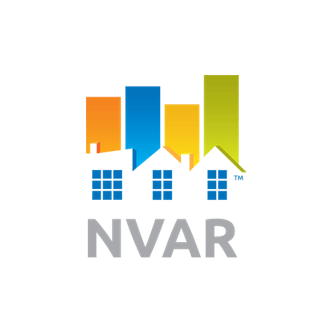 The employee in this role will regularly perform inspections onsite at the properties, will notify owners of the compliance (HOA) violations, and will follow each association’s due process procedure to ensure violations are resolved. The employee will work closely with the associations’ managers and/or relevant Board/Committee members, and will provide reporting as requested. This position must have the perceptiveness, interpersonal, organizational and problem solving skills required to deal effectively with a wide range of people, including senior level executives, association managers, and outside contacts all while providing quality customer service. Perform inspections of each association in accordance with GHCM policy and the association’s governing documents. Determine and schedule the inspection process for each association. Communicate the inspection schedule to the Board, Committee, Manager and/or owners as required. Read and interpret each associations’ governing documents to understand what is considered a violation, and the appropriate due process procedure. Manage and update letter templates as needed. Create, edit, or update violations categories, subcategories and corresponding text to ensure accuracy with the associations’ governing documents. Prepare all violation notices as required to be distributed by assigned Administrative Assistant. Perform follow up inspections of violations in the designated time frame. Close completed violations, or escalate continuing violations, in a timely manner. Generate reports on a monthly, or as requested, basis. Prepare hearing letters and hearing results letters to be distributed by assigned Administrative Assistant. Schedule Hearings for each association as needed. Prepare the hearing agenda and provide necessary information to the Board/Committee. Keep accurate records of the inspections, correspondence, and action taken. Communicate professionally with owners regarding compliance items. Act as the point of contact for any owner queries related to compliance. Report any common area maintenance needs to the association’s manager. Accurately bill each association per GHCM’s policy and the Management Agreement on a monthly basis. Administer and troubleshoot the inspections software (currently SmartViolations). Assist other employees with the software as needed. A High School Diploma. A college degree is preferred. Previous compliance inspection experience preferred. 1/2 years’ experience in the Community Association industry preferred. Reliable transportation and normal physical ability to visit multiple associations. A strong background in customer service. Full working knowledge of all GHCM operating policies and procedures. Full working knowledge of Microsoft Office products, specifically Outlook, Word and Excel. Full working knowledge of the 3rd party software used by GHCM to include: Jenark, Smartwebs Violations and community website/web portal hosts. General knowledge of Internet use and using Internet browsers, apps and mobile devices. Outdoor environment when inspecting properties, an indoor professional office environment when completing administrative duties. Travel to and from assigned associations for property inspections and meetings is required. Ability to see property details at a distance of 15 feet and to distinguish color. Uses standard office equipment such as computers, phones, photocopiers, filing cabinets and fax machines. Outdoor environment when inspecting properties. We are a Premier Community Association Management Firm looking for an Administrative Assistant for our property in Alexandria, VA. Please provided a cover letter with your salary requirements along with your resume. Only candidates that are well qualified will receive a call back. Background checks conducted, EOE. In addition to resume submission, please include a cover letter highlighting how your experience aligns with this role. The Administrative Assistant duties include but are not limited to, working for Portfolio Managers, assisting each with all administrative and customer service support for our clients. This position requires perceptiveness, interpersonal and organizational skills required to deal effectively with a wide range of people, including senior level executives, property managers, and outside contacts all while providing quality customer service. The Administrative Assistant is responsible to maintain full working knowledge of all our operating, accounting policies and procedures and Jenark Access modules, intermediate or advanced knowledge of Microsoft Office systems. Knowledge of Excel and Word is a MUST. The Administrative Assistant is responsible to maintain information for all aspects of providing support to the Portfolio Managers and our clients. This includes customer service, maintaining accurate records and files, utilizing Microsoft Office especially excel in preparing customized reports, and Outlook to respond to customer requests on a daily basis. Gates Hudson Community Management is in need of a Assistant Manager for a condominium property in Bethesda, MD. This is a full time position that offers a comprehensive benefits package in addition to great culture and growth potential. We are looking for someone who is experienced, professional, organized, and knows how to oversee projects. Gates Hudson, a full-service property management company is seeking a full time Leasing Consultant to join a residential property in Lexington Park, MD. If you are energetic, detail oriented, and customer service focused, please submit your resume for review. Gates Hudson, a full-service property management company is seeking a full time Leasing Consultant to join a residential property in Woodbridge, VA. If you are energetic, detail oriented, and customer service focused, please submit your resume for review. Gates Hudson is in need of a full time floating Collections Specialist to support our Maryland properties. The collections speciaist must have experience in property management, preferrably working as a property manager, assistant property manager, or deliquency specialist. The Collections Specialist must have reliable means of transportation and be willing to commute between sites. Provide customer service regarding collection issues, process resident refunds, process and review account adjustments, resolve resident discrepancies and short payments. Responsible for maintaining resident accounts. Manage and audit delinquency rates. Reconcile resident disputes regarding outstanding balances that are due. 3-5 years of collections experience. Knowledge of Billing and Collections procedures. Experience with Yardi system preferred. Excellent customer service, verbal communication, and written. Ability to walk property and go up and down flights of stairs daily. Ability to sit, reach, twist, and lean doing routine administrative tasks. Ability to lift files, open filing cabinets and bend and stand as necessary. Some lifting required of <30 pounds.